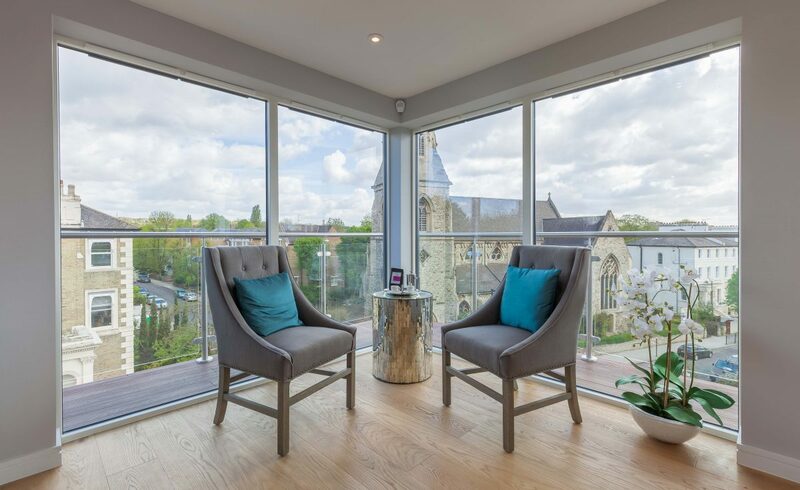 An exceptional two-bedroom penthouse apartment located in a desirable part of South Hampstead, with enviable views across Abbey Road. 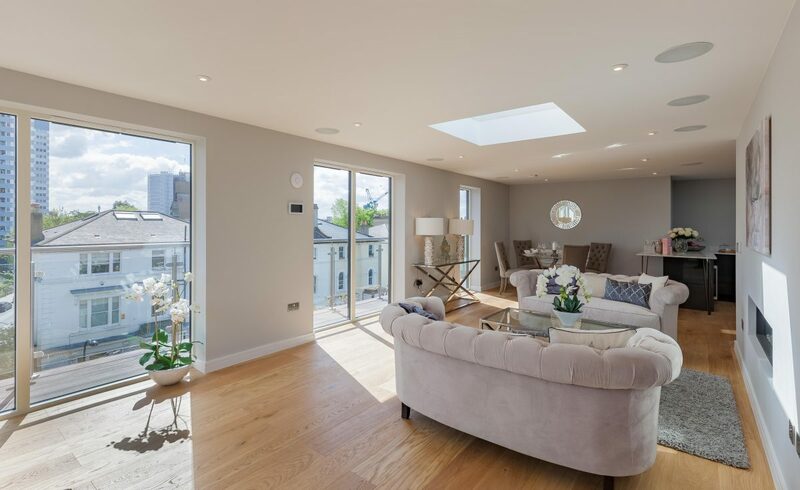 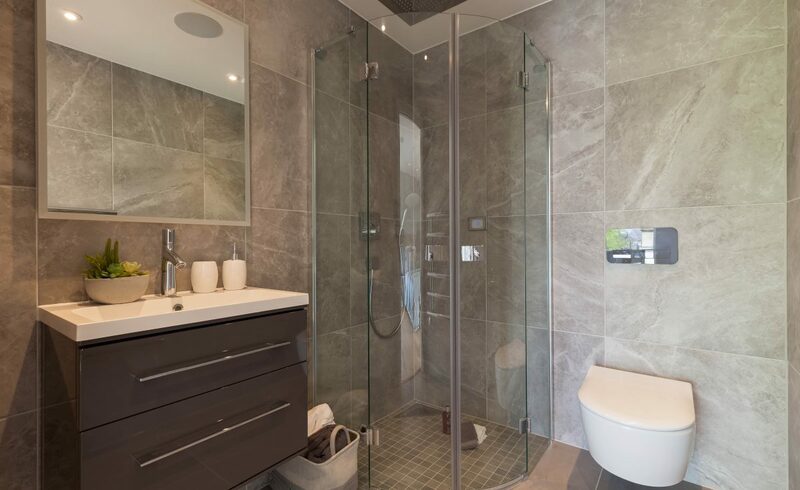 Located on the fourth floor and developed in the building’s rooftop airspace, the luxurious penthouse is finished to a high standard throughout. 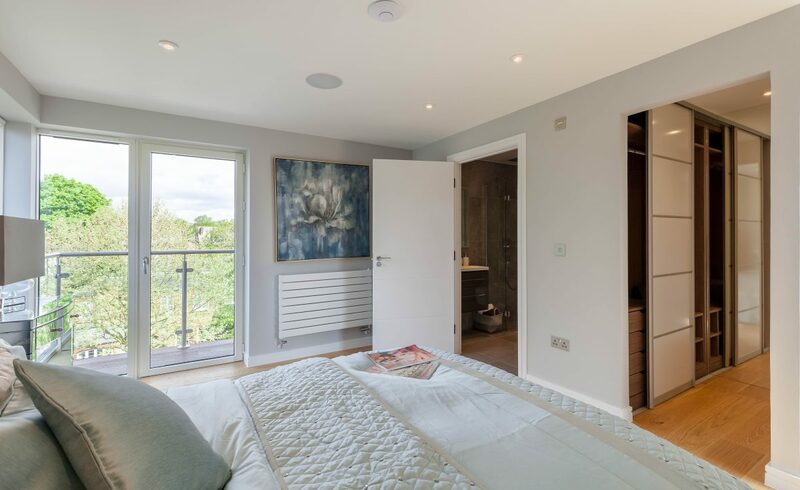 It spans over 1,100 sq ft of internal space, and a composite decked wraparound terrace with glass balustrading, spanning the entire frontage of the apartment. 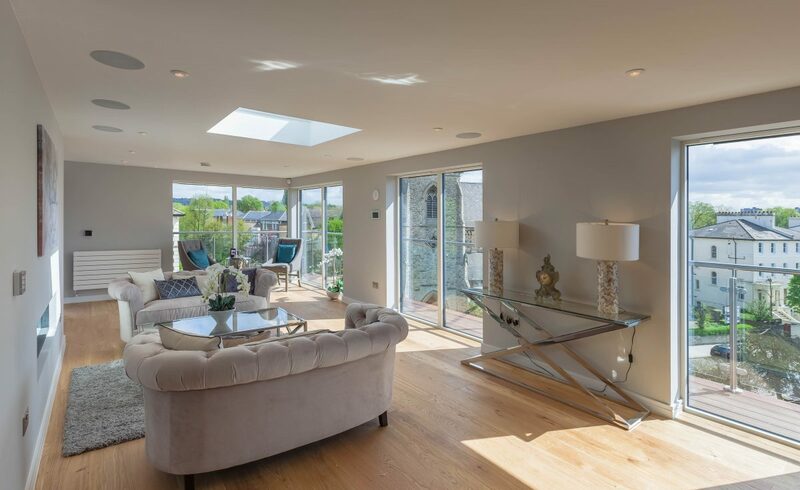 An open plan kitchen, living and dining area forms the heart of the home, framed by floor-to-ceiling glass and oak wood floors, with direct access to the terrace that provides a unique inside-out living experience. 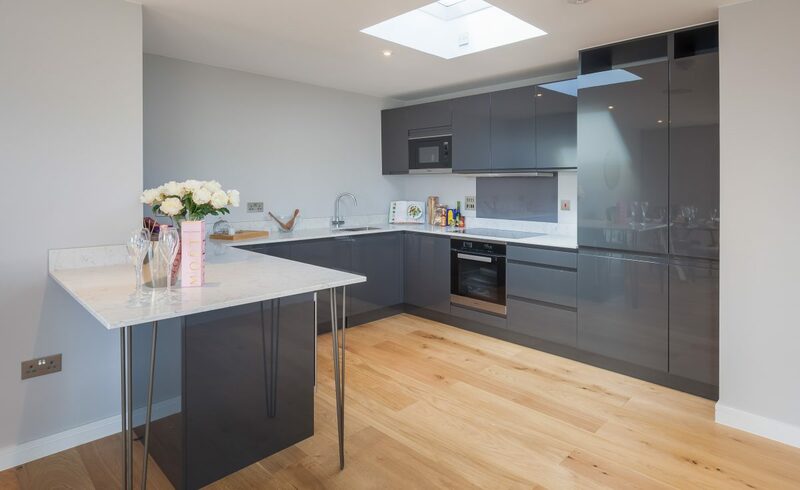 The kitchen is finished to a high standard including integrated Miele appliances and built-in wine cooler. 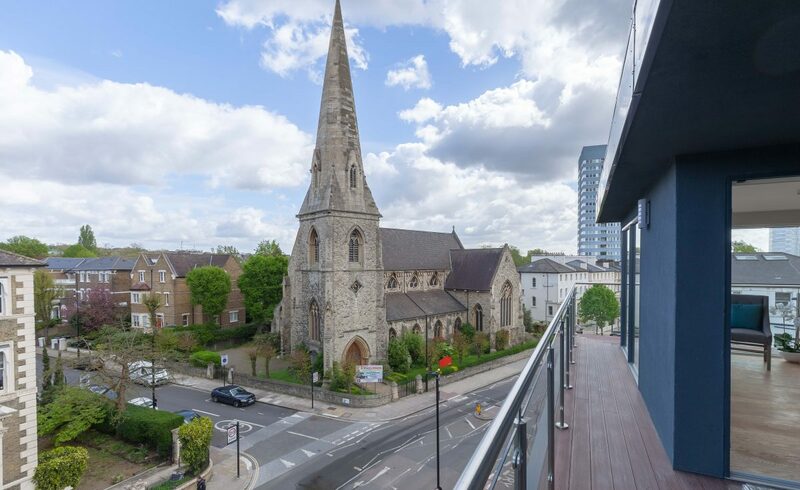 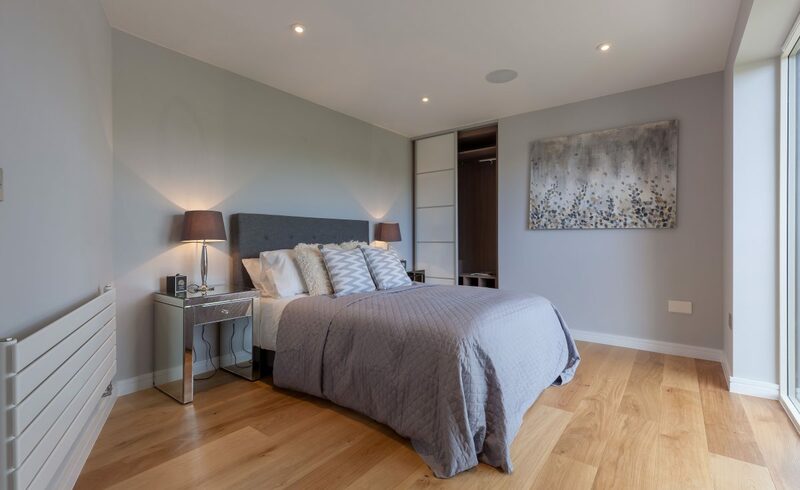 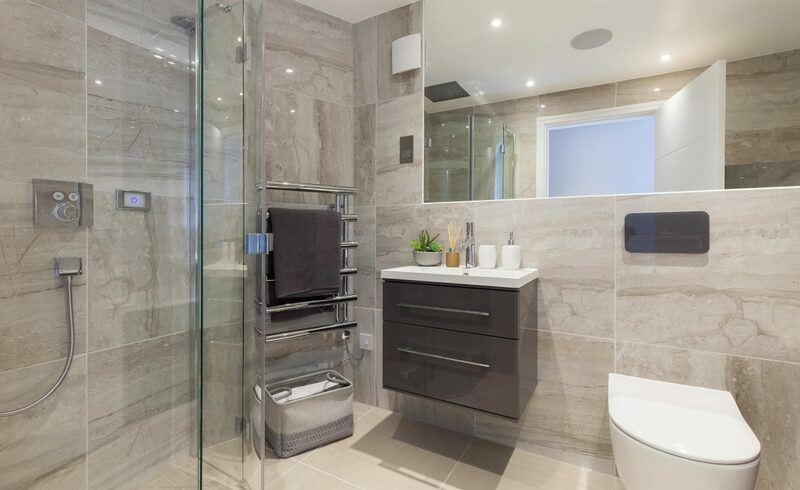 Conveniently located, the property is just minutes away from West Hampstead station on the Jubilee and London Overground lines, Kilburn Park on the Bakerloo line and South Hampstead Overground station, providing quick and easy access to the rest of London. 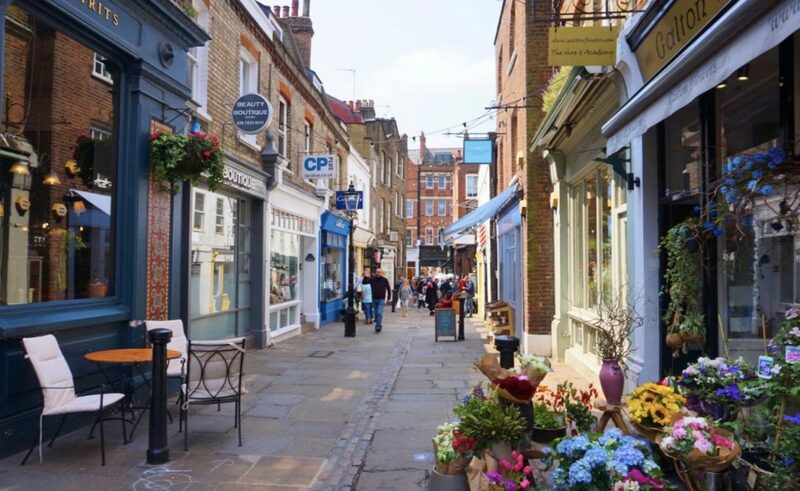 The hugely popular amenities of the wider Hampstead area and St. John’s Wood offer an appealing mixture of independent shops, cafes, gastropubs and restaurants, providing every day convenience on the doorstep. 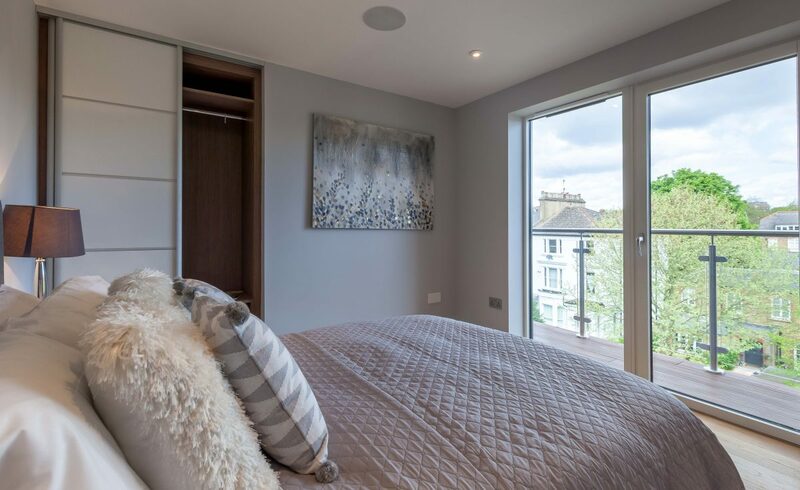 Equally, there is an excellent selection of local schools, and the open green spaces of Hampstead Heath and Regent’s Park are just a short journey away.